NIT recruitment: All the interested candidates should note that they can appear for the walk-in-interview on April 3 and 4, 2019. 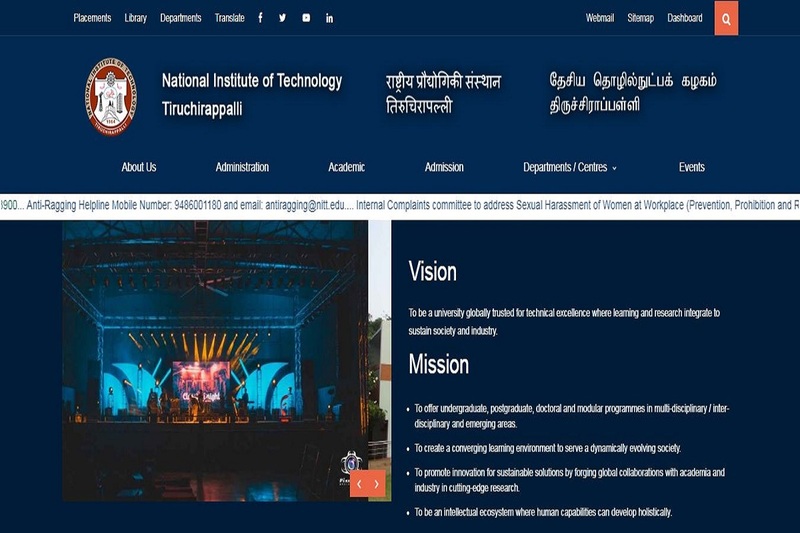 NIT recruitment: National Institute of Technology, Tiruchirappalli has released an official notification for inviting applications for DEO Trainee, Accounts Trainee and Personal Asst Trainee posts. All the interested candidates should note that they can appear for the walk-in-interview on April 3 and 4, 2019. • Data Entry Operator Trainees: The candidates should not be more than 30 years old. • Accountant Trainees: The candidates should not be more than 30 years old. • Personal Assistant: The candidates should not be more than 40 years old. • However, reserved category candidates will bet age relaxation according to government norms. • Data Entry Operator Trainees: Interested candidates should have first class Bachelor’s Degree in any discipline. • Accountant Trainees: Interested candidates must have first class B.Com degree. • Personal Assistant: Interested candidates must have first Class Degree with a consistently good academic record. • The essential qualifications are bare minimum and possession of them will not entitle the candidate to be called for Test / Interview.